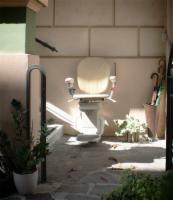 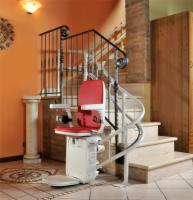 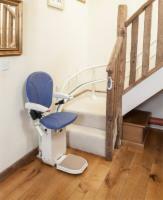 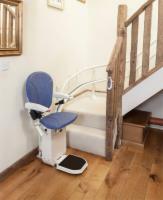 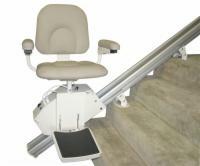 Our selection of battery operated stair lifts from AmeriGlide are the perfect home additions for people of limited mobility who want to keep on making the most of their two-story homes! 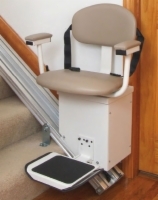 The onboard DC batteries continually recharge at any given point on the stairway lift's track, meaning that you never have to worry about being stuck on your stairlift if your power goes out. 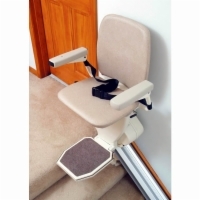 These battery powered stair lifts are also available preowned or reconditioned at a reduced cost, allowing you to save even more money beyond our rock-bottom prices!